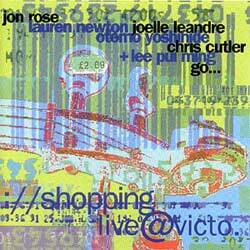 Yes, we're still shopping - this is an unexpurgated copy of the Victoriaville concert (Radio recording) with group: Lauren Newton, Joelle Leandre, Otomo Yoshihide and Chris Cutler. 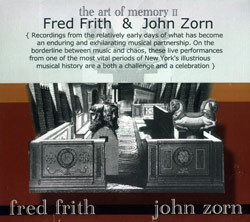 In my opinion the wildest and most dizzying version on record. Unfolding chaos with luminous performances - viz, Lauren's hair-raising interpretations and vocal event, Joelle's oscar-winning bag lady performance, THE CAST for maintaining an atmosphere of knife-edge confusion. All human life and a whole lot of other stuff too. High quality radio recording with nothing cut or edited - nightmarish, and funny. Glad I was there.